The PROFIBUS Group was founded in May 1993. 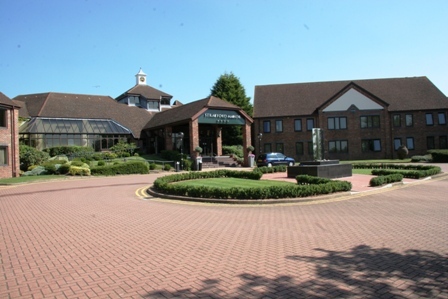 Twenty years on, we’re celebrating with a one-day Conference to be held on June 26 at The Stratford Manor Hotel, Stratford-upon-Avon, where we have held our conferences for a number of years. We’ve invited some top speakers and some very able engineers to present the facts and demonstrate the systems. PI Chairman Karsten Schnieder will be presenting the Keynote Address and unveiling some interesting new information about our technologies going forward. The conference is designed for engineers, managers and indeed anyone concerned with the real issues of implementing fieldbus and/or industrial Ethernet technologies. The programme will contain a mixture of presentations, demonstrations and hands-on practical sessions that are suitable for a wide variety of experience; from first-time users to those with extensive experience with working systems. It will cover latest developments in PROFIBUS and PROFINET technology for factory and process automation including safety, motion control, wireless implementations and integration with the Internet and MES. The event will be supported by a table top exhibition. There will be plenty of opportunity for delegates to meet and network with the industry’s VIPS and experts including members of the UK Group.